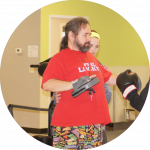 To many, we’re a medical rehabilitation and health and wellness facility, but what we really do is empower people of all abilities to reach their full potential. Our Impact is vast. We provide so much more than exercise. Through our wellness education, fitness and recreation programs, our participants achieve a sense of value, self pride, and success. This builds relationships and empowers them to do more, be more, and have fun while doing it! Being well is more than having a strong body. Our programs foster a sense of belonging to something bigger, all while becoming more healthy. We have built a welcoming, inclusive community that is a place where our participants can be themselves and see achievements that can do so much more than just make more than make them physically stronger. Minnesota is a healthy state. Rochester is known as one of the healthiest cities in America. 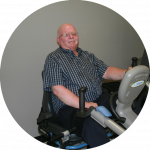 While this is exciting, many individuals with intellectual and/or physical disabilities report not having a place to go and exercise, continue their physical therapy, or learn how to live healthy. They want a place where the can feel safe and comfortable being themselves. Individuals of all ages with disabilities often feel left out of the design, tolerated rather than accepted. Though they are welcome at area recreation programs, school activities, and gyms, there is often have a feeling that they are different and unwelcome. Creating an inclusive environment for physical activity and health promotion is achievable, but difficult. 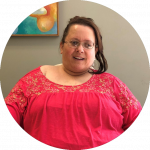 What makes Exercisabilities different is our mission is based on growing an inclusive community where people of all abilities feel accepted for who they are so they can create and build meaningful relationships and experience personal growth together, along side everyone like and unlike them. Your help in building this impact is needed! We want physical activity and health promotion opportunities to be available to every person that seeks to have a place to belong and be empowered to be healthier in mind, body, and spirit. 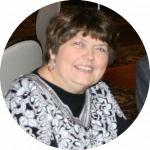 “Melanie and her staff believe whole-heartedly that continuing physical therapy can benefit people with all kinds of physical disabilities. I have seen positive results and have great hope for further gains through my work with ExercisAbilities.” - Watch her story here. “I wouldn’t be where I’m at today if it wasn’t for Exercisabilities and the friendships I’ve formed there. I’m more active in my daily life, physically and socially. They have helped me become myself again and I’m excited for what my future holds.” - Watch her story here. 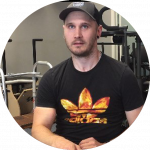 “With ExercisABILITIES help Tom takes care of his own personal cares, exercises 5 days a week to build up strength in his legs and keep his body functioning. Without it, he would simply be laying in a bed and we all know that is no quality of life. Thank you EA for giving Tom a true chance to recover and live the best life he can despite his disabilities at this time.” - Watch his story here. “ExercisABILITIES is how it inspires me to never give up, with the endless support of those incredible people. My family and I will forever be grateful for the finding of this place that changed my life, going from despair to hopeful. 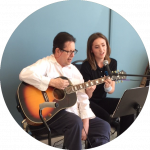 Thank you Melanie and team, for making such a difference in my life!” - Watch his story here. “You can never stop. You have to keep working always" - Watch her story here. "I would not be independent today if it was not for ExercisAbilities" - Watch his story here.